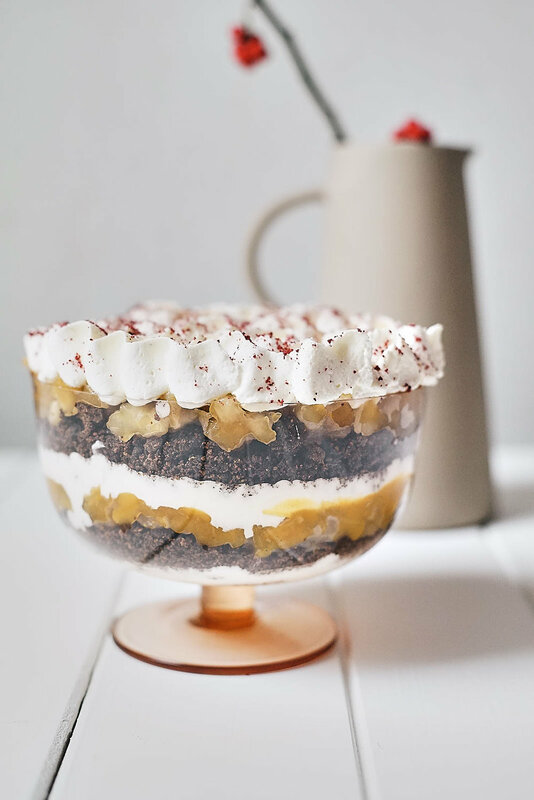 There's nothing more traditional than a rye bread trifle for dessert in Latvia. It is something Latvians love, something I cannot say about everybody. There are many reasons for this, the most famous being - rye bread trifles are as different as people. Every grandmother, every family has their own recipe – from super moist and fantastically tasty, to variations where dry breadcrumbs get stuck in the throat. This, my friends, is one of the variations – not 100% traditional – because that means I would have to make with cranberries, but this is a keeper, at least in our family. Preheat the oven to 200°. Line a pan with parchment paper. Mix the black bread with cinnamon and orange zest, spread out evenly in the bottom of the pan, and bake for about 15 minutes until the crumbs are crunchy and golden and dry. Stir every now and then to prevent the crumbs on the sides from burning. When ready, remove from the oven, put in a bowl and cool completely (leaving them in the pan will keep them cooking). Mix with apple juice in three parts, as sometimes, depending on the rye bread, 2/3 is enough. The bread has to be moist, but not swimming in liquid. Meanwhile, place the apples, sugar, orange juice and zest, salt, and vanilla powder into the pan and sauté on medium heat until the apples are soft and the liquid has evaporated. When ready, mash with a potato masher and leave to cool completely. When everything has cooled, whip the cream with the sugar and salt into firm peaks. Fold in sour cream or crème fraiche. Layer the cream, breadcrumbs, and apples and repeat as many times as you wish, depending on the serving dish you will use. Let sit for at least 6 h, but 12 h is better. 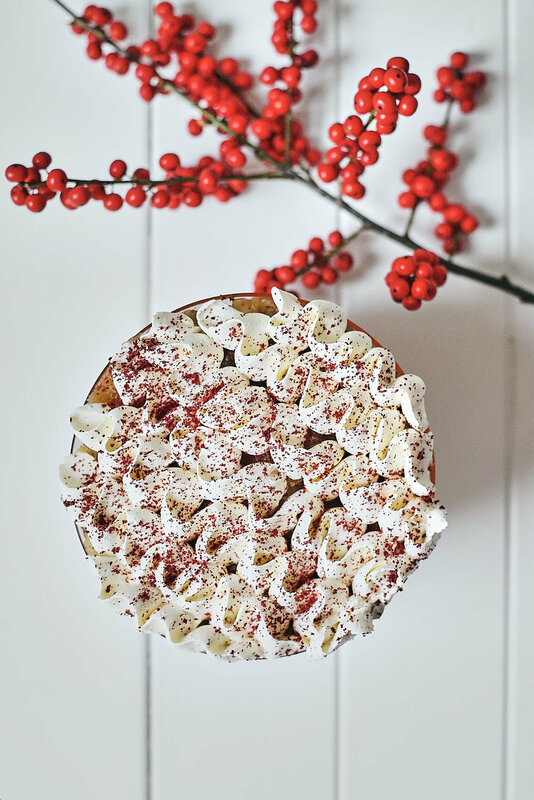 Serve sprinkled with dried red berry powder – cranberry is the best.